It’s difficult to imagine life without 3M. The R&D-backed product and service company has practically touched every domain of our life… from the medical field, to the kitchen, and from stationery and office supplies, to industrial goods and chemicals (especially in the transportation field). The company is responsible for small yet significant innovations like Scotch tape, Post-its, and scouring pads, to bigger innovations like 3M’s holistic Car-care program, their production of high-quality vinyl, and even industrial-grade as well as medical-grade equipment, products, and supplies. 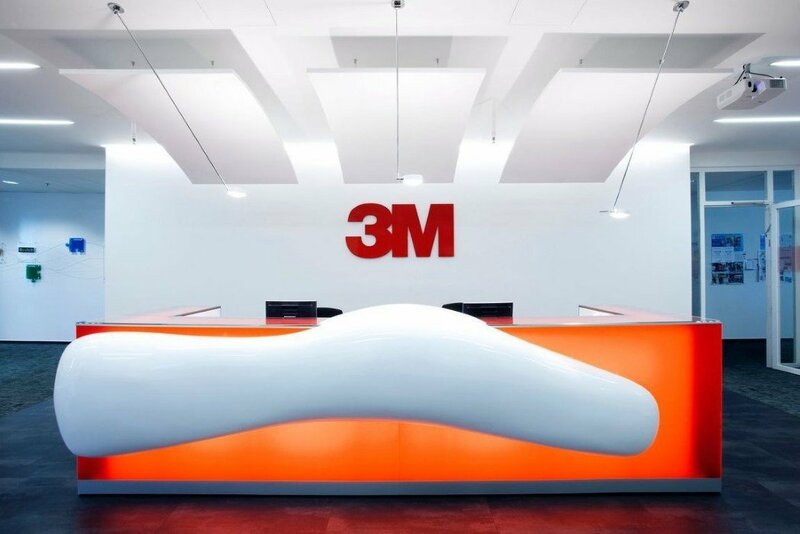 The company is looking to hire a Senior Industrial Designer to join their Health Care Business Division at the 3M global headquarter in Maplewood, Minnesota. 3M is driving creativity and design as a competitive platform for innovation and brand globally to enhance design-driven solutions for people and the world. We are looking for a Senior Industrial Designer for our Health Care Business Group to enhance the design function at the 3M Design Center, located in Maplewood, MN. The person hired for the position of Senior Industrial Designer will work with, and at times, lead multiple functions of the Health Care Business Group. They will consistently identify, initiate, plan, and recommend, innovative design solutions that meet business and technical goals. The Senior Industrial Designer will be able to consistently take the lead in advancing and utilizing knowledge of design, product(s), and market information. They will apply the above information along with creative and design thinking skills to provide design leadership and support for the business. Does your curiosity inspire you to imagine tomorrow’s solutions to today’s problems? Do you ever wonder how collaborative creativity can enrich innovation and make progress possible? Or wonder if design can drive competitive advantage for business, while also having a positive impact on the world? These are just a few of the questions we ask at 3M Design every day. Our diverse, global team not only includes design talent from multiple creative disciplines, but also achievement-oriented professionals who keep the engine going for strong operations to ensure our design organization is world class. We’re looking for creative explorers who are excited to be part of the very inspiring journey of design at an innovation company like 3M driven by curiosity. • Assumes a design leadership role on individual projects and takes responsibility for the overall development and delivery of design. • Initiates and establishes good working relationships with multiple functions of the business to support and facilitate the design completion of programs. • Provides coaching and thought leadership on design process and execution for our business partners. • Tactically adapts and tailors the design process/approaches to the specific project or business needs. • Expected to participate in technical or design strategic planning at the business level. • Independently manages multiple projects. • Handle design projects of strategic scope and complexity. • Needs to have strong observational skills, end-user empathy, and the ability to identify insights from various forms of qualitative research. • Consistently combines creative thinking and industrial design skills with industry trends to provide unique brand experiences. • Leads application of key corporate initiatives and appropriate tools. • Performs all duties in support of 3M Health Care Design expectations and responsibilities as well as any agreed upon business unit expectations. • Candidates will be required to provide a portfolio of non-confidential design work demonstrating design process and/or design solutions.